Quantum Illumination is the phenomena where defense contractors, scientists, quantum engineers and photonics experts have pondered it as the solution for correction method and for the effects of atmosphere on entanglement, causing atmospheric coupling, bringing the quantum system to its final phase; quantum decoherence. Rather than discard the tactic, large sums of money have been poured into strategies such as improving target detection in an effort to make quantum illumination efforts more efficient, or attempting to achieve quantum illumination using Gaussian states whereby quantum harmonic oscillators adopt states resembling the oscillatory behavior of a classical harmonic oscillator. So far the progress of a deployable quantum radar has not quite been achieved due to this same obstacle, quantum decoherence. This study proposes the solution for developing a military quantum radar whereby quantum decoherence due to quantum illumination to overcome the effects of atmosphere coupling on the quantum radar’s quantum entangled photons. Quantum radar, Quantum teleportation, Quantum illumination and Quantum entanglement. Lasers produce ‘cloned’ photons, differing from other sources of light as each photon is coherent, which is how quantum entanglement is enabled. Should a quantum radar discard its attempts to address the quantum illumination problem to maintain quantum entanglement, and utilize the technology employed in quantum teleportation experiments to teleport the signaller photon to the suspected area of sea, air or land in search for a stealth object, then this study finds that not only do we already have the extant technology to build a functioning quantum radar for military use, but the article will theorize how to overcome extant problems. For a quantum radar to work, it needs to be thought of as exploiting quantum entanglement differently. Three quantum systems are always involved with the first as the unknown state which is teleported, whilst the second and third systems are distributed from the quantum radar ground station to the stealth jet and those photons are entangled, given [1,2]. Where Tr12= the partial trace where the unknown state couples to the photon to the entangled signaller and Φ = LOCC quantum channel. Where I⊗O is the tensor factor, which proves that quantum entangled photons have been teleported without any correction methods, such as ‘quantum illumination’ efforts due to environmental coupling being required whatsoever [3,4]. 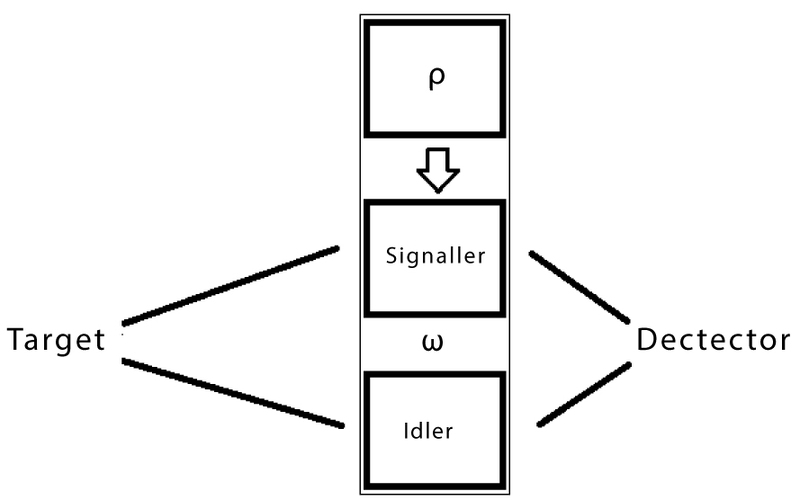 In Figure 1 it’s illustrated that the photon with the random state used to teleport to the stealth object, does so though what would have previously been called the signaller photon, while the Idler entangled photon is retained to monitor. The benefit of this theory is that it removes the enormous obstacle that the scientific world has been stuck on for three decade regarding quantum radars which is how to correct methods for the effects of the atmosphere on the quantum entangled photons harnessed by the quantum radar. Figure 1: Teleportation Quantum Radar. In order to progress the development of a quantum radar, time has proven that there is little benefit in improving quantum illumination methods and infact the advancements in quantum teleportation have proven incredibly promising. Moreover no one has thought to integrate them into the function of a quantum radar to overcome the environmental coupling problem. A problem that cannot be solved by quantum illumination, however is completely avoided using quantum teleportation.